At Bingham Lumber we pride ourselves in producing the highest quality wide plank flooring available. With random lengths of 2′-12′ and widths up to 10″ (20″ in white pine), we produce flooring that is sought after and admired. We maintain the concept that a random width floor is a more natural look, however we will accommodate fixed width requests when needed. We strive to keep our prices low and our products a stroke above the rest. Please see our list below of the standard species that we have available. We can custom mill other species as well. Please use the Contact Us link if you do not see what you are looking for in our standard Classic Wide Plank flooring offerings. 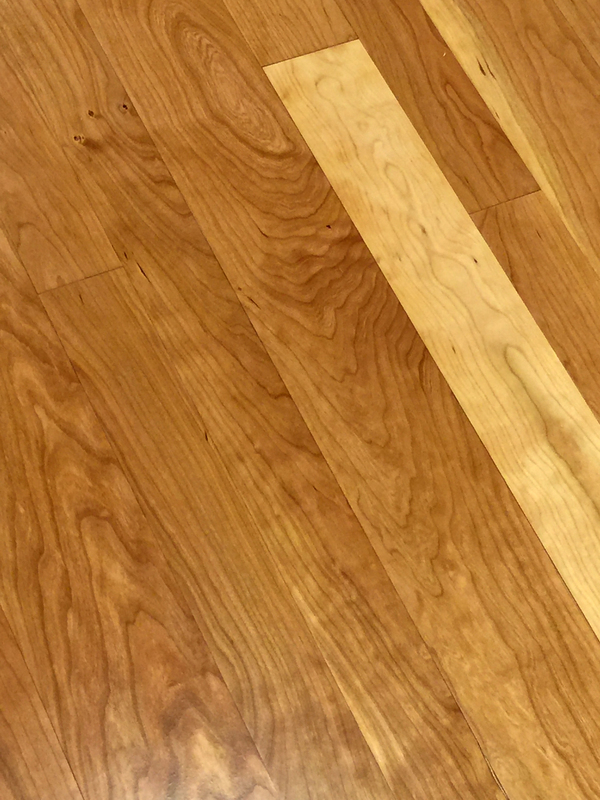 Used in many traditional homes for millwork features and custom panels, our wide plank Cherry flooring will contain deep copper tones and minimal sap content. As cherry ages, it will naturally deepen in color to a rich auburn. If you are looking for a traditional flooring choice that will age with grace, wide plank Cherry flooring is an elegant and polished choice. The black cherry tree is common to many parts of North America as well as South America. They can live for hundreds of years and are known by a few different names. Some of those names are Black Cherry, Mountain Black Cherry and Rum Cherry. Cherry trees, however are difficult to cultivate and are highly susceptible to rot and pest damage. *Please note that wood is a natural product and because of this, we recommend ordering samples of our products before making your flooring choice. We will send multiple pieces of each product to give a full representation of the grade and specie. Together, these pieces represent the grade, specie or product specified. Please do not reference an individual sample, piece of the sample or image as an accurate representation of the entire grade, specie or product. Please consult your sales representative with any questions or to request more samples. 2016 © Bingham Lumber, Inc.
Have Any Question? Need a Quote or a Sample?